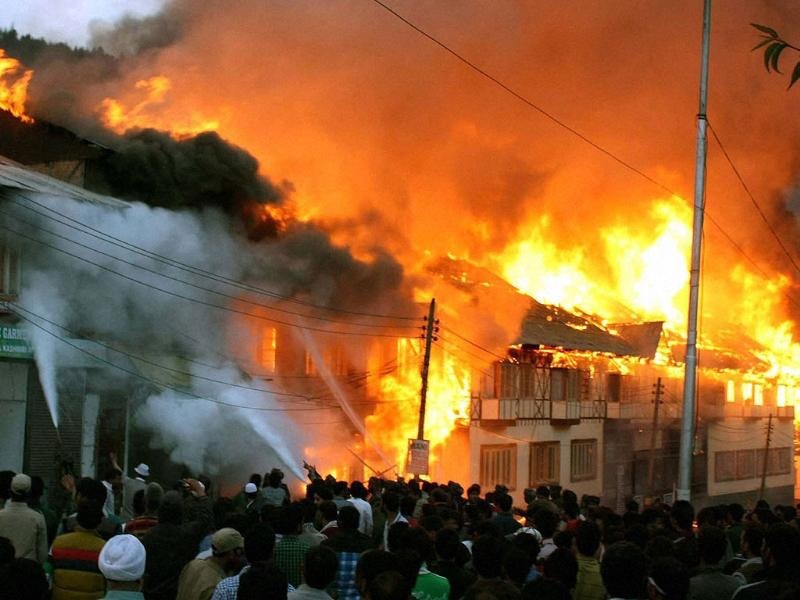 Could someone be behind Gikomba fire tragedies? Fire tragedies are not new to Gikomba. They are an annual occurrence and this year ,the market has been ravaged by two fires. Gikomba is one of the largest open-air markers in East Africa, and it specializes in second-hand clothes from the West and barely a year goes without a huge fire destroying a big portion of the market, along with property valued at millions. Yusuf Hassan, a kenyan politician is among city leaders who believe the June 23 fierce fire that gutted a significant portion of Gikomba Market and Gorofani estate was deliberately planned to edge out traders and tenants. “I think it is not purely accidental. We have too many fires here. There are people responsible for them and we must find out who they are and bring them to book,” said Hassan after the worst inferno in decades at the market. Internationally renowned investment banker Jimnah Mbaru is also among those who qustioned the market fire arsonist who he said are Nairobi county workers. I really cannot understand why Nairobi City Council burns this Gikomba market. It provides so many jobs and opportunities. Blackmail? Business people and local residents link the source , spread of the fire, a reluctance by firemen and swift reaction by political leaders, suggest that the inferno was a carefully choreographed smokescreen, and that the real intention was to flatten Gorofani estate, which is sitting in an area earmarked for development. In june 2018 fifteen people were confirmed dead following an early morning fire in a section of the expansive Gikomba market at Kwa-Mbao area. Gorofani Nyumba Kumi initiative chairman David Ndala said the fires were being deliberately started to destroy the estate “since the houses are marked for demolition”. Phase Four and Five of Gorofani Estate had 42 blocks of the county houses, each comprising 16 units. Even after the fire businessmen at Gikomba market are rarely allowed to rebuild their stalls as the government comes in with plans to construct a modern market. The frequent fire outbreaks are also said to be acts of arson to grab the land. The affected area was also said to be in a riparian reserve and the traders had been issued with notices three weeks prior to the fire. There is also the issue of sour relations between the Gikomba traders and a section of youths linked to Pumwani Riyadh Mosque located a few metres away. A section of the Gikomba land is reportedly owned by the mosque and the traders who operate from that section reportedly pay rent to the mosque. It is said that the youths have severally blocked lorries ferrying goods to the market. The youths are said to place mats on the road and nobody can come in or out of Gikomba using the route near the mosque. Nobody knows their motive, but tension is usually high and not even police or provincial administration can question them, this is according to trader who sought anonymity.